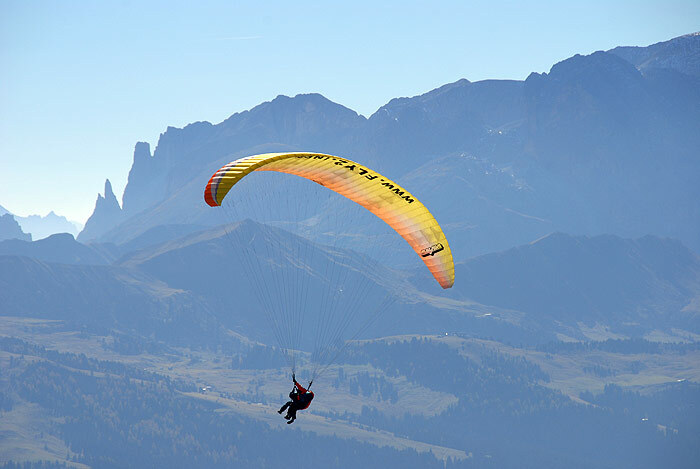 Enjoy the breathtaking mountain scenery of the Dolomites from above on a Tandem flight with the paraglider - Paragliding in Val Gardena is an unforgettable adventure. Experience the fantastic feeling to hover over the majestic mountain peaks, large alpine pastures, meadows and forests and see the three villages of Val Gardena Ortisei, S. Cristina and Selva from a new and exciting perspective. 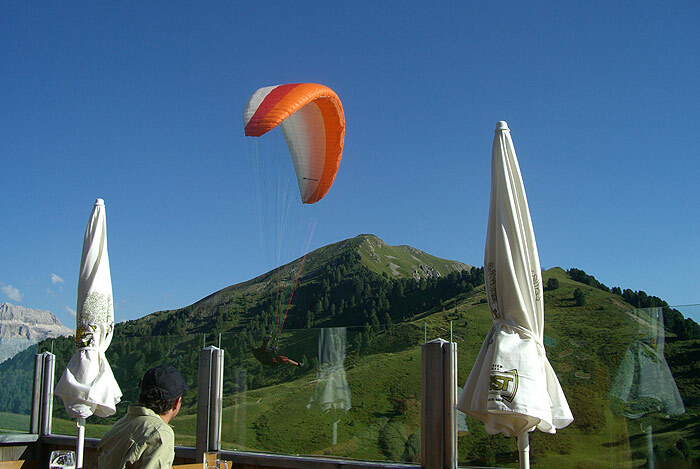 Val Gardena is a true paradise for paragliders. Optimal flight conditions, numerous opportunities for flying and good thermals are the main characteristics of the Dolomites. The dream of flying comes true even for amateurs on a Tandem flight with the paraglider. 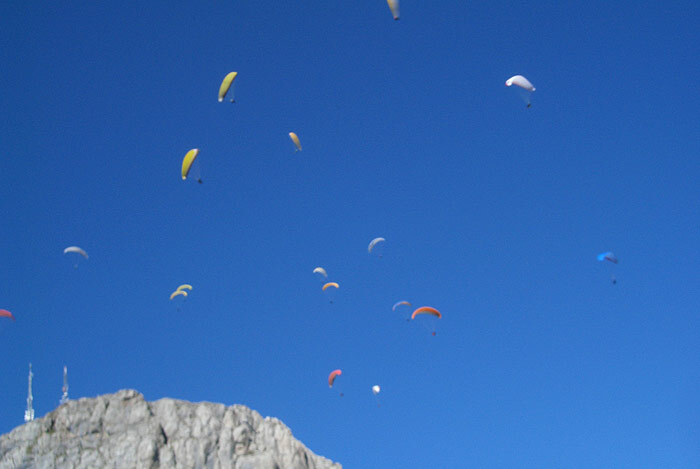 Local, experienced Tandem pilots offer paragliding flights in Val Gardena throughout the whole year. Surprise your beloved ones with a gift voucher for a tandem flight - an original gift for any occasion. 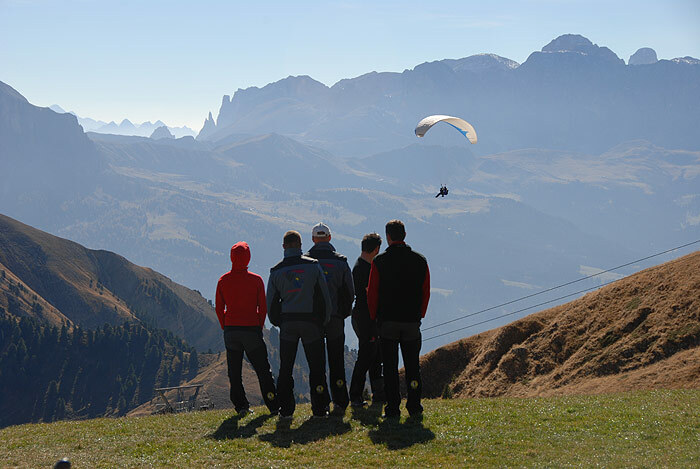 Look forward to an active holiday in Val Gardena and experience strong emotions during your paragliding flight in the Dolomites.